WASD Shift: Bitter After Taste - Unexpected endings. BEFORE YOU READ, BE ADVISED MAJOR SPOILERS WILL BE IN THIS POST. YOU WERE WARNED. So as most people who keep an eye on the gaming community know, a lot of people were really disappointed with Mass Effect 3's ending. So much so that there has been a massive outcry from the community calling for a change in the ending, even raising $66,548 (£41,998) so far for charity in a petition for Alternate endings to be added. So what makes some game endings so hated? Shepard's last adventure is a pretty entertaining ride. For Mass Effect 3 at least it seems that fans were annoyed by a number of different things. And rather than write a garbled summary of what the majority of fans think - A player has compiled a good, easy to read list of what many think are wrong with the ending which you can find here. I managed to play through ME3 this weekend and personally, I didn't think the ending was terrible. I Just thought it lacked substance, and left me with far too many questions as to what happens next, I like detailed epilogues at the end of games and Mass Effect 3's was all too brief, there was no description or anything showing what happened to everyone else after the war. Also, it seems the choices you make throughout the game have very little to no effect on the ending which seems rather different from the previous two titles. That being said, ME3 for me was a very enjoyable game, sure the ending was a bit of a let down but the journey to it was amazing. FFX-2, at lest there was a bit of virtual eye-candy. There have been other games that have also let me down in terms of an ending, Final Fantasy 10 being one that springs to mind. However I think this let me down because I was expecting a happier ending for Tidus (main character). After the effort he puts in throughout the storyling to save not only Yuna (love interest) but Spira (the planet he's on) as well, I would have thought there would be a chance he wouldn't dissapear. I wouldn't call it a bad ending. I think it just took me by surprise. However a couple of years after a sequel was released giving players a chance to continue Yuna's story in Spira. Personally I bought it and played through purely for the story. The game itself was no where near as entertaining as it's predecessor and had a 'Teen Girl' feel to it as your levelling system was pretty much dressing up the 3 female (and only available) characters for different abilities, with a happy and colorful world and cutesy cut-scenes. I only powered through to see if it was possible to change Tidus' fate (and you could for an 100% clear or 'perfect' ending). While it was nice to see that ending, I felt that FFX-2 was a very disappointing sequel. Fallout 3 was another one that had a peculiar finish to it. Resulting in your player (apparently) dying from radiation or sacrificing another to do it in his stead. However, during the storyline you acquire a super mutant follower which could have done the task without death but it wasn't an available option. Many fans were rather disappointed by the death of their player, so Bethesda released DLC that gave closure to what happened after your character after this scene. That's right, they bought your player back from the dead. And many fans happily paid for the DLC. Broken Steel allowed you to continue the story after that which was released with the vanilla version. So this made me think that DLC's and unexpected sequels are a great (albeit somewhat underhanded) way for gaming companies to squeeze some extra cash from you, and with games that you invested a lot of time in, many players won't even think twice about spending £10 to find out if their beloved character has a future. 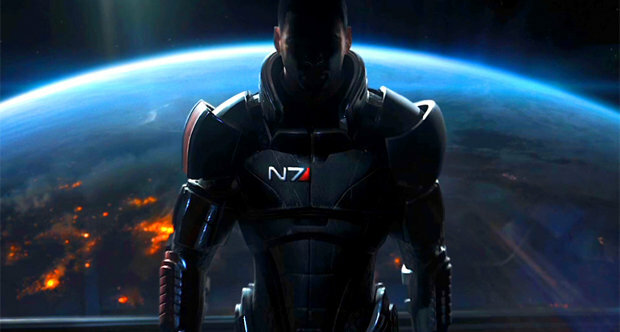 To be honest I won't be surprised at all if extra ending related DLC is released for Mass Effect 3 - and personally, I'd probably buy it in the vein hope Shepard is ok. It seems that most players tend to want their characters to survive, and it's only really in games with endings that your character dies or disappears that gamers seem to get their feathers ruffled about. I don't get that annoyed about sad endings, but I honestly much prefer the scenario where my hero saves the world and gets to see the fruits of his labours in a new happy future. So what about you guys? Do you get annoyed when your character dies a hero? or are you happy he managed to complete his task? what is your Ideal ending?